Wood is one of the best options for any construction, as it has a major positive impact on the final product, but at the same time you have to be aware that it is sensitive and has to be handled accordingly. Wood can be affected by both living beings and by the weather condition during the time of its use. Such unwanted guests like rodents and insects can severely damage the structure ‒ the damaged parts of the product could eventually lead to the collapse of the building. There is always a chance that your house will not meet any animals/insects in the area where your wooden shed is located but you will not be able to escape the weather conditions. Wood becomes most sensitive when it comes into contact with direct sunlight and humidity. The impact can have a double impact: the sunrays cause splits and change the natural color of wood, and the humidity leads to different issues like the formation of fungi, mold and rot. This affects the density of the wood and it becomes soft. Soft wood cannot sufficiently support the construction, which means you will end up with a ruined building. This is why special care of a wooden building is so important. 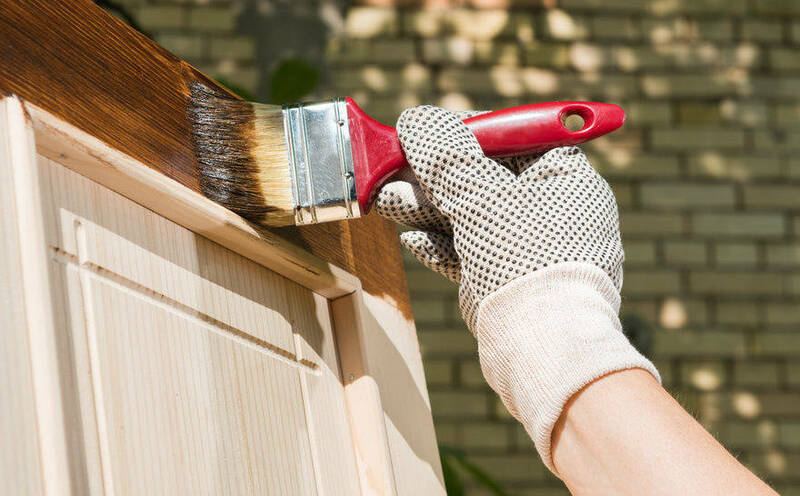 Proper maintenance of wooden constructions, such as a wooden shed, will enable you to use the product for many years. Furthermore, today’s technologies are moving forward very rapidly allowing us to reach incredible results. Treatment of the shed is a must to achieve longevity, while at the same time providing a great visual effect. There are a few basic steps to be followed during the treatment process, but you have to be aware that this requires your time. One of the most important things is the quality of the treatment. Do not go for the cheapest option if you want to achieve good results. The wood has to be prepared for the process and it is easier if the product is new and untreated; more work will be required to prepare an already painted product. If you are treating the wooden product for the first time, you only need to remove excess dust; previously painted products require the paint coat to be removed. Make sure there is no fungus or mold on the wood before the treatment is applied. If you find any affected areas, remove them with a specially designed product. Follow the product instructions and let the wood dry for at least a few days but do not leave it for longer than 3 months.